Hey O&G fans, theCHIVE is giving Marvel fans an extra peak at the upcoming Netflix Original – Iron Fist with an exclusive clip only available on the site. The clip can only be accessed through a secret code and here’s how you can do it. Visitors to theCHIVE can check out the clip by entering the “Up, Up, Down, Down, left, right, left, right, a, b”..................... Hmmmm this code sounds familiar. Well if you are not Video Game savvy or are all thumds, just enter Danny Rand, into theCHIVE’s search function to reach the content. Enjoy the content exclusively from the CHIVE. The remake has been delayed, so we hope this teaser is a sign that the series is a go. It was previously said that the new stories would be culled from trending pieces posted to the fiction site, Wattpad, and the footage bears a decidedly modern milieu. In the teaser, Shyamalan calls the original show a “forbidden fruit” from his childhood, celebrating its “dark, ironic” tone. No date has been set yet. Thanos may have been defeated like a chump in the recent Civil War II, but the Mad Titan looks to be getting his revenge by standing atop a mountain of fallen Marvel heroes in a first look at January 18's U.S.Avengers #2. As teased in this week's U.S.Avengers #1, this appears to be "Zero Day" - a calamatous event that the future Danielle Cage warned heroes about over the course of recent New Avengers issues. Here is the solicitation for that issue. Ok let's begin with Howard (Will Smith). The movie opens with Howard giving a speech to his employees with his usual smile and self confidence, fast forward to 3 years later and now he's a broken shell of a man. His friends and business partners think he's finally lost his mind from grief due to the loss of his only child. The business is failing and his partners fear that he won't sell his shares in order to save it, so they hire 3 actors to play (Love, Time and Death) the three entities he's been writing letters to in hopes to prove to the other board members he's actually a bit crazy. The movie is meant to be a tear jerker and it is. Critics have slammed it saying its trying to be Manchester by the Bay, But for the average moviegoer, who doesn’t care about being manipulated into a sobbing, sloppy flesh-bag of tears, they will enjoy Collateral Beauty. Will Smith is his usual suave self and for me he played the role great. Whit (Ed Norton), Claire (Kate Winslet), and Simon (Michael Peña,) were a pretty good supporting cast, Although for me, I felt they were all about themselves until they learned their own lessons about Love, Time and Death. Keira Knightley, Jacob Latimore and Helen Mirren, respectively, ( personifications of Love, Time, and Death ) were played very well ( especially Mirren ) I think they were the saving grace of the movie. The movie does drag a bit and has some moments where you wanna scream "alright already, move on"
Collateral Beauty isn’t exactly a great movie as noted, but it was very entertaining and the All about the Tears kind of movie it promised to be. I'm giving the movie 3 1/2 stars. What do you get when you take one cynical anthropomorphic duck (named Howard) and cross it with the smelliest (and most annoying) mercenary in the Marvel Universe? DEADPOOL THE DUCK #1! Coming to comic shops and digital devices everywhere on Janurary 4th, its high-stakes avian antics as two of Marvel’s most beloved, and crass, heroes merge for an all-new series brought to you by Stuart Moore (CLOAK & DAGGER, THANOS: DEATH SENTENCE Novel) and Jacopo Camagni (DEADPOOL’s SECRET SECRET WARS). So strap in, break out your chimichangas and crusty bread scraps and hang on! Because you’re in for: rabid raccoons, secret laboratories, cramped spaceships, evil corporations, gastric distress, and S.H.I.E.L.D. Did we mention that’s only issue one?! Flap your wings over to your local comic shop on January 4th to get your hands on DEADPOOL THE DUCK #1! Hey O&G fans at this years PEPCOM Holiday Spectacular, we had a chance to check out PLOX. A leader in the development of technology products in Australia, unveiled its official Star Wars™ Levitating Death Star Speaker. Additionally, Valiant and Keep A Breast’s joint mission to promote breast health and cancer prevention across all facets of comics fandom and culture will continue with special fundraising endeavors throughout New York Comic Con 2016. From Thursday, October 6th through Sunday, October 9th, Valiant’s Faith will appear on two limited-edition collectibles, specially produced to benefit Keep A Breast and available exclusively at the publisher’s NYCC booth #1635. "I Quit" Why are Marvels youngest Heroes ready to Quit? So what has these heroes ready to quit? Yesterday it was revealed as part of the Marvel NOW! "Divided We Stand" initiative, a new Champions series is on its way in October with young heroes from the Avengers and X-Men featuring these characters from the posters as part of the team. Writer Mark Waid describes the series as a "generational shift." The original CHAMPIONS series was created by writer Tony Isabella and artist Don Heck, issue #1 debut in 1975. 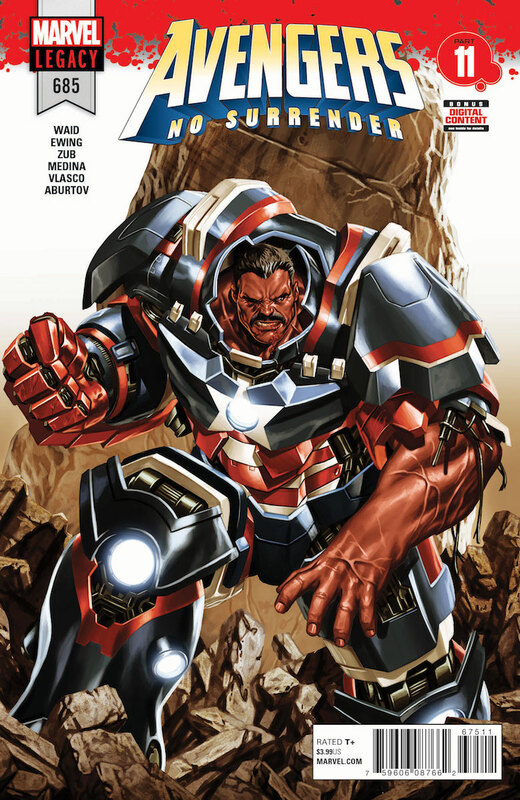 Writer Tony Isabella developed the concept of a new team of superheroes and originally wanted the roster to consist of former X-Men Angel and Iceman, and the newly created Black Goliath. Black Goliath became unavailable when the character debuted in his own title, forcing Isabella to rethink the concept. Editor Len Wein insisted on at least five members, and Isabella added three established heroes: Russian spy Black Widow (team leader), the Greek God Hercules, and the supernatural avenger Ghost Rider. This New team will consist of Ms Marvel, Kid Nova, Spiderman (Miles Morales) Awesome Hulk, Viv Vision (Daughter of the Vision) and Young Cyclops. Which should be an interesting combination. Mark Waid will be joined on Champions by artist Humberto Ramos, currently writes the Ms. Marvel/Spider-Man/Nova trio in All-New All-Different Avengers. We will keep you updated on more info as the series is closer to it's release. When Kids Nap, Their Imagination Begins! Several kids fall asleep and dream about the many different things they could do while in Brooklyn. Their creative minds wander off on a journey to explore all the beautiful, educational, athletic and fun activities to do all over Brooklyn. Are they ready for the many cool discoveries and new experiences they learn on their wonderful adventure? The Justice League battle the Legion of Doom which consists of Lex Luthor, Solomon Grundy, Cheetah, Weather Wizard, and Toymaster. DC-TV news, the CW has released a photo teasing Oliver Queen and Felicity Smoak getting married in this week's episode. Hey O&G fans, for those who are a fan of Spawn and the original movie will be happy to know that a Spawn Movie Reboot is on it's way. Todd McFarlane is currently looking over and revising a script for the movie. News of the movie reboot has been circulating for a few years and a fan created short was out on the net last year. Todd McFarlane has gone on Facebook to give fans an update on the progress of the movie. He talks about working on a 132 page script that he hoping to get down to 120 pages. Hopefully he finishes soon and production can start on the film. We will keep you updated as news comes out. The Spider-Event of 2016 is here! This April, Silk, Spider-Woman and Spider-Gwen unite for a story too big for any one of their titles to contain! Today, Marvel is pleased to present your first look at SPIDER-WOMEN ALPHA #1 – kicking off the epic 8-part universe hopping crossover! Blockbuster writers Jason Latour, Dennis Hopeless and Robbie Thompson are joined by a dazzling array of artists, including Vanesa Del Rey, Bengal, Javier Rodriguez, Tana Ford and more to bring you a story you won’t want to miss! This April, the secrets of Archangel will be revealed as Magneto and his team prepare for war. Today, Marvel is pleased to present your first look inside UNCANNY X-MEN #6 - the start of the Uncanny X-Men’s foray into Apocalypse Wars! Writer Cullen Bunn and artist Ken Lashley take you on a mission to save the life of one of the founding X-Men! The quest for Archangel begins this April as Apocalypse Wars comes to UNCANNY X-MEN #6! Hey O&G Fans, today we are going to revisit a drone that was first reported by our tech guy Young last year. The Lily, Self-driving drone acts as a robot videographer, automatically following you anywhere. It starts recording videos as soon as you toss it into the air and is even waterproof, should you want to take it to the pool. A small tracking device lures Lily along as it uses technological wizardry to find the perfect shot. The Lily isn't out for retail yet, but has had a big success in sales. The startup pulled in a whopping $34 million in pre-orders by the end of 2015, with 60,000 units already sold. The Lily has a cool tracking sensor watch that you can wear on your wrist or put in your pocket. The potential uses for this drone are great! I myself am wondering what cool things I can use it to record like my Convention coverage and Cosplay videos. I'm sure using it inside any convention area will require permission and legal paper work, but the video view would be worth it. The Lily costs $699 on pre-order, but will be $999 (around £650) when it goes on sale in May 2016. Hey O&G Fans, Capt. America: Sam Wilson #7 will be a variant cover featuring all 3 Captain America's. "Avengers: Standoff," All-New All-Different Avengers artist Mahmud Asrar is illustrating Sam Wilson, Steve Rogers and Bucky Barnes in their classic Captain America garb. Captain America: Sam Wilson #7. Both a full color & greyscale version of the illustration will be included in ComicConBox's May release. • Commemorating the 75th Anniversary of Marvel’s Sentinel of Liberty with a story of Captain Americas present and former -- with this explosive, world-changing chapter in the blockbuster spring Avengers event, STANDOFF. 56 PGS./Rated T …$5.99NORMOUS 75th ANNIVERSARY ISSUE! • A STANDOFF tie-in!